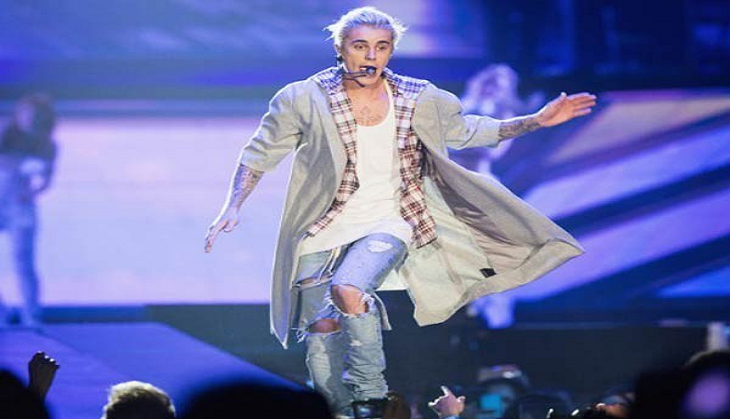 The fans waited for long-hours to hear international pop-sensation Justin Bieber LIVE, but what they got was the singer lip-syncing his songs for 50 thousand plus audiences present at the DY Patil Stadium in Mumbai. A lot of fans were left disappointed and a large number of Twitter users took to the micro-blogging site to share what they felt about Bieber's performance. "So Justin Bieber was lip syncing..Is it too late to say sorry now?" a Twitter user wrote. So Justin Bieber was lip syncing..
Is it too late to say sorry now ? Another user tweeted, "@justinbieber dude u might be a rockstar , but don't take India for granted! Be a man #fakeconcert." "Sonakshi could have done better lip sync than him.Just saying#JustinBieberIndia," another added. Sonakshi could have done better lip sync than him. Earlier, actress Sonali Bendre also called Bieber's concert a total "waste of time". She wrote, "Biebered out!!! Missed d efficiency of @WizcraftIndia n d personal touch of @WizAndreTimmins #wasteoftime." The people present at the concert also blamed the management for the poor arrangements. Reportedly, Justin Bieber has left India instead of staying to visit New Delhi, Jaipur and Agra.